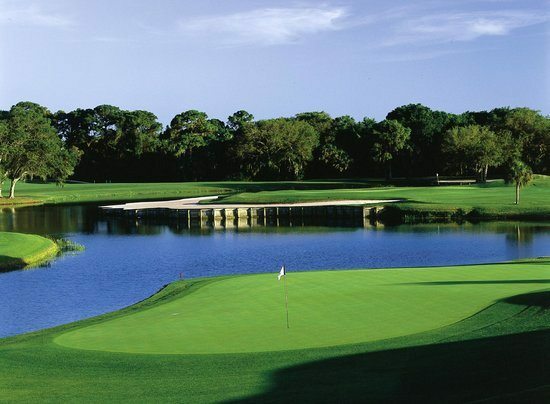 A golfer, now into his golden years, had a lifelong ambition to play the 17th hole at TPC Sawgrass in Ponte Vedre, Florida, exactly the way the pros do it. The pros drive the ball out over the water onto the small green that is on a small spit of land. It was something the golfer had tried hundreds of times without success. His ball had always fallen short, into the water. Because of this, he never used a new ball on this particular hole. He always picked out one that had a cut or a nick, as did many other “average” golfers when negotiating very challenging holes. Recently he went to Sawgrass to try again. The golfer complied, with some slight misgivings, despite the fact that this same force seemed to be implying that he was going to finally achieve his lifelong ambition. So he stepped back and took a practice swing, certain now that this heavenly force was going to make his dream come true. Dutifully, he did. He stopped expectantly and waited; a long silence followed.